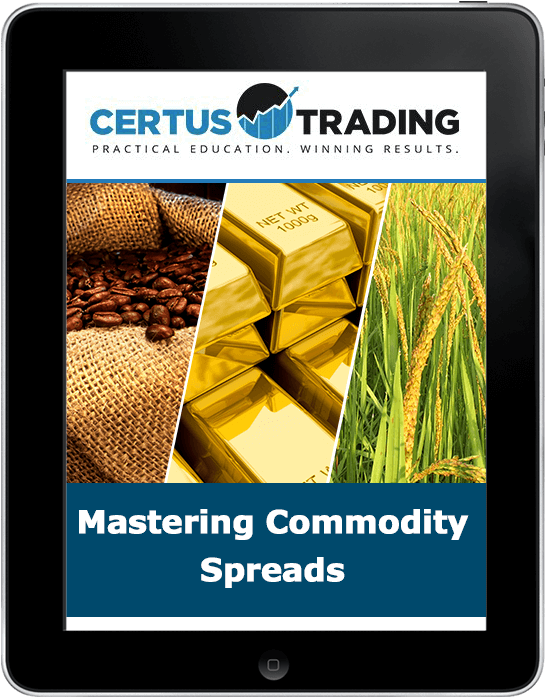 In this 6-weeks comprehensive course, Matt will show you EVERYTHING you need to know to trade Commodity Spreads just like top floor traders, hedge-fund managers, and professional traders. Using real case studies and timely examples, Matt will teach you how to identify the best spread opportunities, the top strategies he use and when to apply them. This is an advanced and robust course where each module builds on the previous one. The course is designed to allow time for you to understand the material and to ask Matt any questions you may have on the live Q&A calls before moving onto the next module. This is currently not open for enrollment. Certus Trading Inc. provides education and training services only. The services and materials provided should not be interpreted as investment advice, an endorsement of any stocks, ETFs, futures, options, and currencies, or an offer to buy, sell, hold or trade stocks, ETFs, futures, options, and currencies. Certus Trading Inc. assumes no responsibility or liability for your trading or investment results. You assume the entire cost and risk of investing and are solely responsible for any and all gains and losses, financial, emotional, or otherwise, experienced, suffered, or incurred by you. PRIOR TO MAKING ANY TRADING OR INVESTMENT DECISION, IT IS STRONGLY RECOMMENDED THAT YOU SEEK OUTSIDE ADVICE FROM A QUALIFIED INVESTMENT ADVISOR. CERTUS TRADING INC. DOES NOT PROVIDE OR GUARANTEE ANY FINANCIAL, LEGAL, TAX, OR ACCOUNTING ADVICE OR ADVICE REGARDING THE SUITABILITY, PROFITABILITY, OR POTENTIAL VALUE OF ANY PARTICULAR INVESTMENT, SECURITY, OR INFORMATION SOURCE. Please visit our website at www.certustrading.com to view the full disclaimer.